Wilson Montessori has a beloved playground cat named Wilson (now known as Wilson the Wonderground Cat on Facebook). Wilson is a stray cat that over the years adopted Wilson as her home. She is fed daily, and adores the children and staff at the school. She went missing, and we found her in really bad shape on Halloween, with multiple puncture wounds on her neck and leg, and a very large laceration along her side. She was likely attacked by a dog. 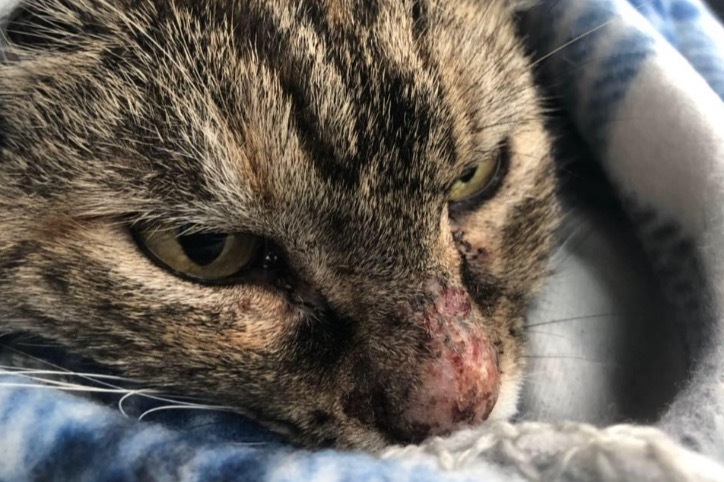 She was rushed in very critical condition to Garden Oaks Veterinary Clinic, where she was treated intensively for over a week, including two separate surgeries. Wilson is finally healing, and we hope to bring her back soon to the school so she can be reunited with the families, staff, and children who love her so much. This fundraiser is intended to cover the cost of her medical bills (which were deeply discounted by Garden Oaks Veterinary Clinic....thank you!!) and supplies so that we can build her a new (and safe!) home on the Wilson school campus. Total cost of her medical bills were $933.76, and we figure around $300 needed to purchase the supplies to make her the best cat house ever. We greatly appreciate everyone's help in reaching our goal! !